It’s the beginning of football season and I wanted to suggest some tech upgrades I’ve had on my mind. 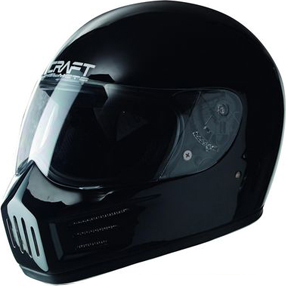 Helmets – Currently the helmets are relatively ill fitting with poor peripheral vision. As you know the face mask has a cage that creates the possibility for face mask penalties and more importantly; the potential for neck injuries. The new helment would have a huge piece of heavy duty transparent plastic (think Gorilla Glass only plastic) over the players face and it would increase the players peripheral vision and therefore increase the potential for great plays. (Example to the left.) With the cage gone, it would prevent face mask injuries and be easily replaceable, if it became scratched. We already see many players with shields over their eyes such as Ladanian Tomlinson and Michael Vick to prevent getting poked in the eye. The transparent plastic could also adjust to the ambient lite so help with direct sunlight. Along with these new features, the helmet would also have the Hothead technology installed to reduce the number of heat related injuries. The helmet would also be tied directly into the shoulder pad system -through a neck brace – creating a light exoskeleton. This neck brace would as flexible as the player was. The range of motion would be tested for each player and the neck brace would be adjusted accordingly. Shoulder pads – The shoulder pads would also have a heart rate monitor built in so the coaches and trainers could track how the athlete’s body was performing. This would help with hydration, rest, etc. Knee braces – Players seem to wear these only after they’ve had a devastating knee injury. I understand the old braces can hinder mobility but I’m sure there’s a smart material that gets more resistant to bending/breaking as the more force that’s applied to it. In other words the brace would remain fairly pliable until it was hit and then it would become rigid. This won’t eliminate all injuries but may reduce the severity. Crowdsource the play – The world is filled with armchair quarterbacks. 1) Give them the chance to tweet in (d @nflplays-broncos play description here), 2) filtered by coaches and then 3) executed by the team. Would be fun to see how well they did.